Enjoyed in front of an open fire and served with crusty buttered bread, a comforting Seafood Chowder evokes strong childhood memories of wintery nights. 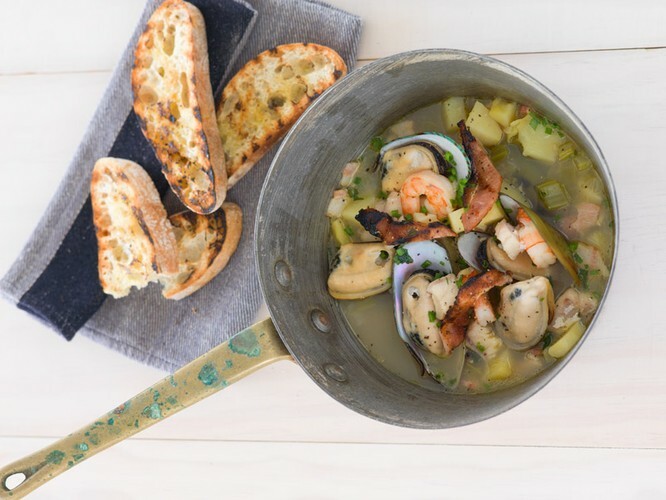 With New Zealand’s abundance of seafood, we’ll show you how to create your own special recipe that will keep your family coming back for more. Start tonight’s event with a warm seasonal seafood salad entrée then go on to learn the secrets and techniques behind the perfect seafood chowder. Bar open from 6pm. Class starts promptly at 6:30pm.